-Do you feel stuck in certain areas of your life and wonder how you will ever move forward? -What if your creativity could actually get you unstuck? If so, the Clubhouse is the place for you, and your best friend! Read all about it here. 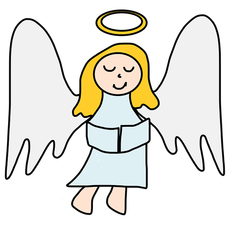 Angle Card Readings are a supportive, fun and positive way to connect with the guidance and love of your angels. *15 minute minimum $1 a minute.